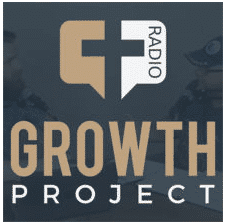 Andrew was interviewed on Growth Project Radio. How important is it to have sound doctrine to teach sound theology? In this podcast, we interview special guest Andrew Rappaport. Join us as he expounds on his newest book, “What Do We Believe”. Andrew has an extensive background in Judaism as well as 30 years’ experience of “Open Air Evangelism” or “Street Evangelism”. Listen in on this podcast to hear what his book has to offer. He wants us to know there is something for everyone in this book. In this episode, he speaks on the conundrum of our Holy Trinity, Do we believe that God exists, and so much more! There is much to learn from this interview and it is presented in a candid, friendly setting.